Learn in the comfort of your own home. All ages, styles and levels are taught. 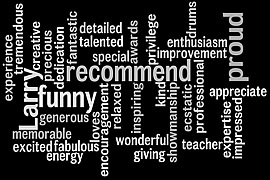 Check out comments and feedback from many of my drum students. 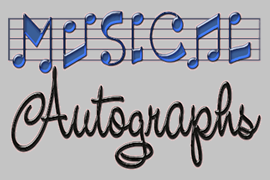 Donated by music celebrities, etc. to help support the Drumming for Jared program. The Boulder Drum Studio is conveniently located on the Pearl Street Mall in Boulder, CO. 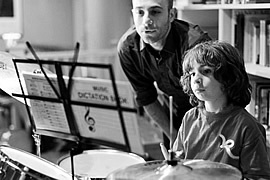 Lessons are offered on both snare and set. 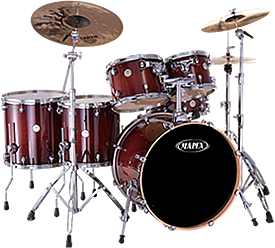 There are two drum sets in the lesson room and practice time is available during the week. Take a free trial lesson today and experience how much fun learning the drums can be! Schedule your free studio trial lesson today!